Redmi 6A₹ 5,999 will be available via open sale in India, starting midnight tonight. Ever since its launch back in September, the smartphone was sold through weekly sales, but after midnight, the Redmi 6A 16GB storage and 32GB storage variants will go on sale on Amazon and Mi.com. 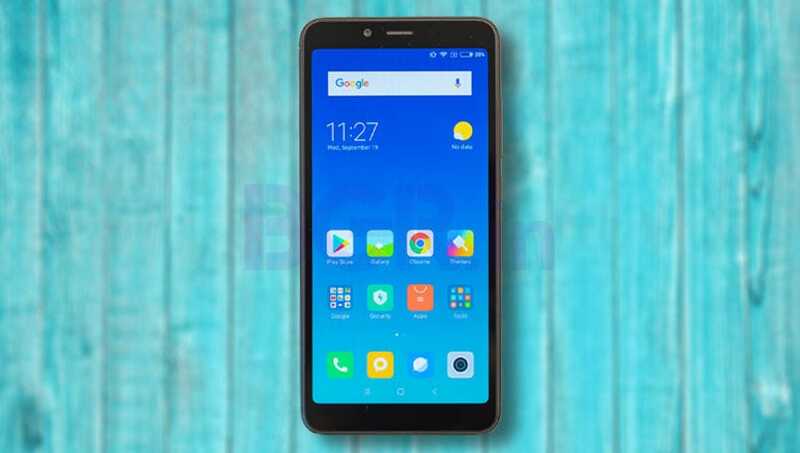 To recall, the Redmi 6A is powered by the MediaTek Helio A22 processor, sports a 13-megapixel rear camera, and a 3,000mAh battery. The price of the smartphone was hiked last year due to depreciation of the rupee, but it was brought back to its original price last month. Xiaomi has taken to Twitter to announce that the Redmi 6A will go on open sale for the first time on Amazon India and Mi.com. The open sale will begin at midnight, and the price starts at Rs. 5,999 for 2GB RAM/ 16GB storage variant and the 2GB RAM/ 32GB storage variant will be priced at Rs. 6,999. To recall, the 32GB storage option went on open sale in November itself, and moving forward even the 16GB variant will be available openly. Just earlier today, Xiaomi announced a Redmi 6₹ 8,346 permanent price cut in India as well. The 3GB RAM + 32GB storage variant is now priced at Rs. 7,999 and the 3GB RAM + 64GB storage variant is priced at Rs. 8,999. The dual-SIM (Nano) Redmi 6A runs MIUI 10, and sports a 5.45-inch HD+ (720×1440 pixels) panel with an 18:9 aspect ratio. It is powered by the MediaTek Helio A22 SoC, paired with 2GB of RAM and 16GB and 32GB inbuilt storage options, expandable via microSD card (up to 256GB) with a dedicated slot. In the camera department, the Redmi 6A bears a single 13-megapixel rear camera sensor with PDAF and f/2.2 aperture. There is a 5-megapixel camera sensor on the front for selfies and video calling. Connectivity options include 4G VoLTE, Bluetooth v4.2, Wi-Fi 802.11 b/g/n, GPS/ A-GPS, Micro-USB, and a 3.5 headphone jack. Sensors onboard the Redmi 6A include accelerometer, ambient light sensor, electronic compass, and a proximity sensor. There is a 3,000mAh battery under the hood that the company claims will deliver up to 40 percent more juice. Dimensions of the smartphone 147.5×71.5×8.3mm and weight is 145 grams. Like the Redmi 6, this model comes in Black, Gold, Rose Gold and Blue hues.